Hi everyone! When I think about the makeup products that create the biggest impact a person's appearance, there's no doubt that a little bit of mascara and eyeliner will make a world of a difference (and of course, brows, but that's for another post)! In the green-beauty world, it's quite difficult finding a long-lasting mascara and liquid eyeliner that will perform just as well as conventional products. 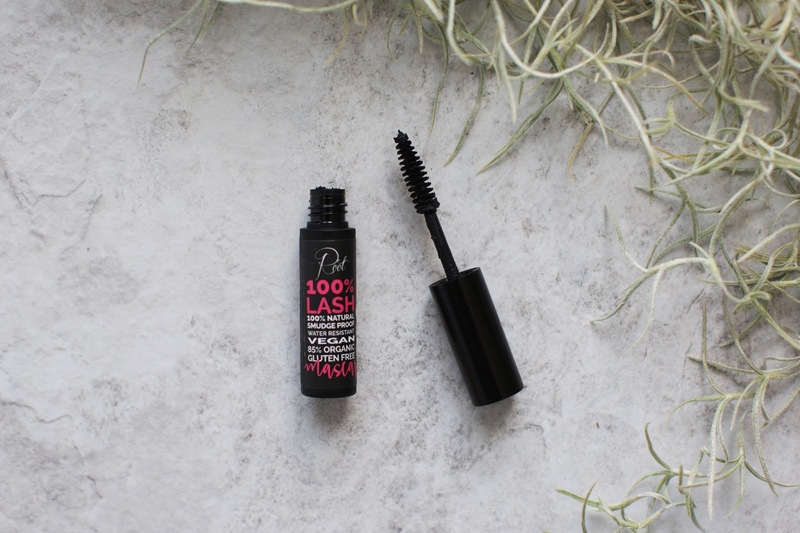 So today I'm sharing my experience and thoughts on the Root Pretty 100% Lash Natural Mascara and the 100% Line Liquid Eyeliner with you all! All of Root Pretty's products are vegan and gluten free. 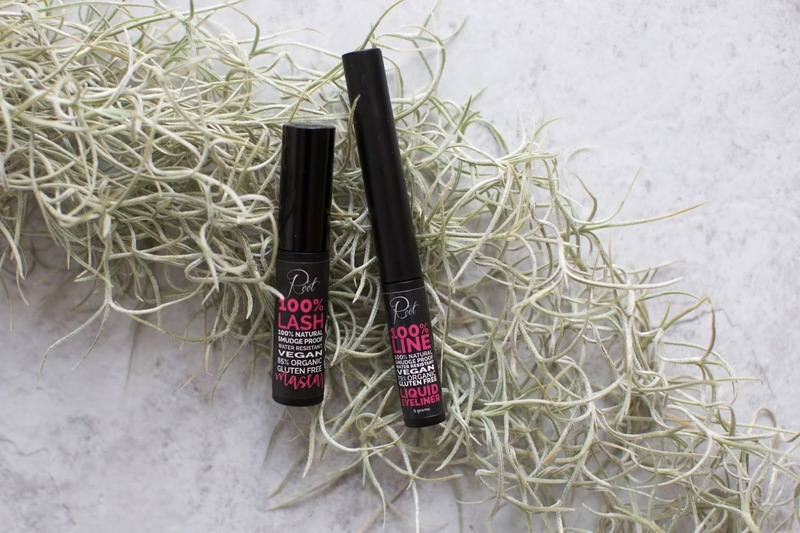 The Root Pretty mascara contains lash-nourishing ingredients like sunflower seed oil and vitamin E and features a bristle-brushed wand that effortlessly coats my lashes. I love how it contains 83% organic ingredients for such an affordable price. Application is quite easy with this one as it doesn't poke my eyes or cause any irritation. As long as I wipe off the excess mascara on the wand, it doesn't clump up but rather leaves my lashes more voluminous and a bit longer with one coat. If I apply more coats, it looks a lot more dramatic, which I like, however, my lashes will fall straight down. Also, it doesn't flake throughout the day. Since I have extremely oily skin and watery eyes, this mascara did smudge on me throughout the day even when I put translucent powder underneath my eyes and on the lashes prior to application. It also doesn't hold my curl throughout the day when I use a heated eyelash curler. I'm still on the lookout for a smudge-resistant mascara for extremely oily skin people like me! 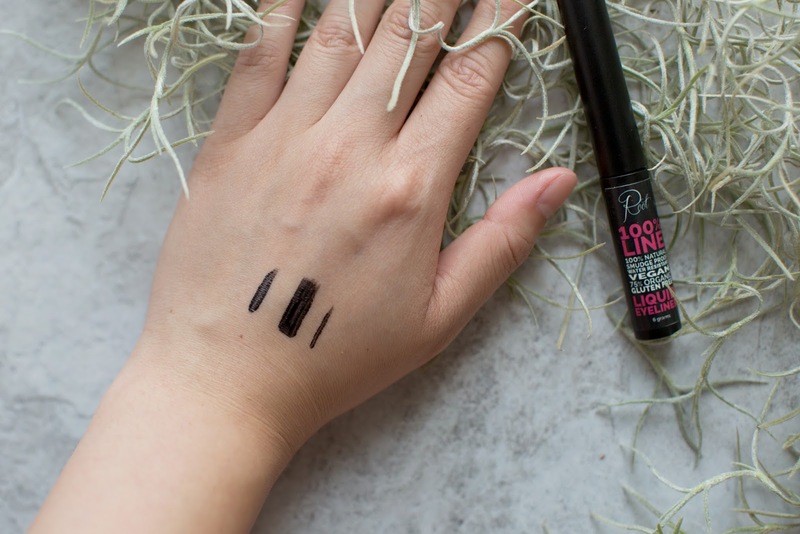 I was really excited to try Root Pretty's liquid eyeliner since there are only a few green-beauty brands that offer liquid liners. It has a sturdy wand with a felt-tip that is easy to use. They only offer it in the color black which is actually a very dark black with cool undertones (might look a bit blue in different angles when applied). Once you apply this on the eyes, it quickly dries, sets, and doesn't smudge (even without primer). I am so amazed at how long this lasts. It seriously doesn't budge even in extremely hot weather! 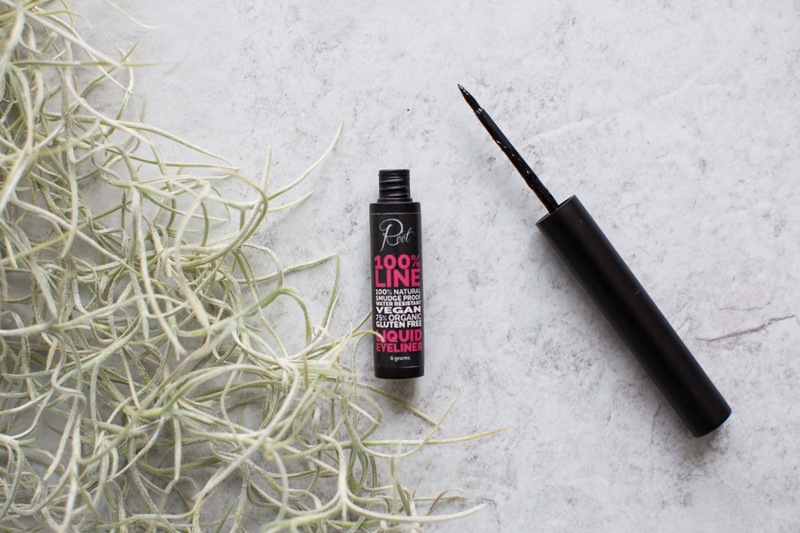 Although the applicator is easier to control than 100% Pure's liquid eyeliner, I still find myself reaching for a separate eyeliner brush to apply it (I've been loving Makeup Forever's Extra Fine Eyeliner Brush). I personally don't like using liquid eyeliners with wand applicators since the product gets onto my lashes and creates a mess. The wand gets very messy and goopy over time, as well. I also find that once I apply the liner, it doesn't apply opaquely and I have to go over it a few times and when I do, it erases what I drew earlier. I hope that makes sense (see picture above for a visual example). It requires more practice, patience, and time. I would repurchase this eyeliner since it lasts forever on the eyes! I hope they come out with a dark brown color since the black is too harsh for my daily makeup. Please let me know if there are any long-lasting mascaras or eyeliners you've tried or heard about!